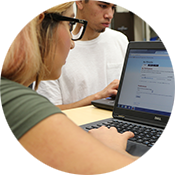 Important: If you haven't been enrolled for two consecutive semesters please complete a new college application BEFORE making an appointment with a counselor. In order to schedule an appointment for Gavilan's Counseling services, a G# is required. In order to obtain a G# you must apply for admission. 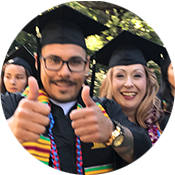 The professional counselors at Gavilan College provide academic, career, vocational, transfer, and personal counseling. We can help you choose the right classes for your major, decide on your educational goals, find your ideal career path, transfer to a 4-year college, or work through difficult personal issues. It’s easy to meet with a counselor. Review the Specialized Counseling section carefully to ensure you are scheduling an appointment with the appropriate counselor. If you need to see a general counselor, check Location and Service Hours for a current schedule. You can schedule an appointment online or call our office at (408) 852-2895 or (408) 848-4723. We are located in the Student Services Building near Admissions and Records. Schedule a Counseling Appt. Emails will be returned only during regular/intersession counseling hours. The Gavilan College Counseling Department faculty adheres to the Ethical Standards published by the American Counseling Association.